In Ear Matters: Beyerdynamic - new IEM, slight update. Beyerdynamic - new IEM, slight update. 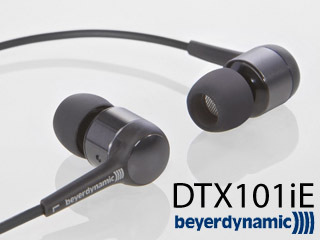 Beyerdynamic just released three new IEM models, the DTX 71 iE, DTX 101 iE, and MMX 101 iE (the cellphone and PC compatible mic supported DTX 101 iE). Beyerdynamic has never been really big on earphone in general, but these new models are at least okay in price - they are all under US$100. HifiMan RE272 - a first look?